Hoyt and Summer knew home ownership wouldn’t be easy. After all, the former Money Makeover participants were told as much by a financial counsellor their first time around. In 2012, they graduated from university and were interested in jumping into the condominium market. Both having landed full-time jobs with good pensions, they believed home ownership would help them get ahead. “Boy, were we wrong,” said Summer, an administrative worker in her late 20s. At the time, the couple had about $21,000 in debt, largely the result of earning university degrees. They did have some savings — about $17,000, including $11,000 from their parents for a down payment. Moreover, they had steady income, earning a combined $75,000 before taxes a year. Eventually, they purchased a renovated two-bedroom condo for about $187,000. It didn’t take long before they realized it was more than they could handle. “The debt just kept ballooning because we couldn’t keep up with the mortgage payments, the condo fees and everything else that comes along with it,” Hoyt said. The expenses that hurt the most were large, unanticipated repairs: a sewer backup, burst water pipes and a leaky roof — to name a few. Soon their reserve fund was empty and they were paying out of pocket. “We had rose-coloured glasses on and seeing what friends were doing with their lives, we thought ‘this is something we should be doing, too’ not realizing we were not financially in a place to do it,” Summer said. So late last year, they sold at a $20,000 loss and were relieved to be renting again. Now Summer and Hoyt owe about $42,000, including a $6,000 no-interest loan from their parents, and they have almost no savings. They earn more than before: more than $90,000 combined a year. And they are determined to get out of debt as soon as possible, particularly since they want to return to school so they can upgrade their career options and earn more money so they can become homeowners again. “We are really a cautionary tale for others like us thinking of doing the same thing,” she said. Brian Denysuik is a local credit counsellor and a registered insolvency counsellor at the for-profit debt-management agency Creditaid in Winnipeg. He said many first-time buyers find themselves in financial trouble because — like Summer and Hoyt — they underestimate or even overlook the costs of ownership, particularly with respect to condominiums. Now, Hoyt and Summer must become debt-free to move forward. Yet while they have been trying to track expenses and make regular debt payments far above the minimum requirements, Denysuik said they will have to bear down on the budgeting process to make meaningful progress. But if they were tracking costs, they would realize they have more free cash flow than they think. “Three years ago, they had a combined gross income of $75,000, but today they have a combined gross income of $94,446, an increase of 26 per cent,” he said, adding their take-home pay has increased to $4,640 from $4,088 a month. While their debt has doubled, they do have the cash flow to pay it down faster than their current pace. In 2012, their discretionary spending was $850 a month when they were advised to cut costs if they decided to buy a home. Today, they’re spending more than $950 a month on entertainment, coffee, clothing and dining out even though they are focused more on debt reduction than they were before. The upside here is they make enough money to become debt-free in less than five years without taking more drastic measures such as a consumer proposal or bankruptcy. But they must become dedicated budgeters to make it happen. Hoyt and Summer have to closely track their expenses to understand their true cost of living. This is the only way to find where they can cut spending to increase cash available for debt payments while building up emergency savings so they’re not forced to go back into debt when things go sideways. Already, they’ve done some good work, paying more than $1,000 a month on debt while saving $165 a month for emergencies. Still, they could do better because about $466 a month of income is unaccounted for in the budget. Moreover, they could increase the effectiveness of their efforts using the ‘avalanche method’ of debt repayment — something Summer is already doing. This involves paying the minimum amount on the lowest interest debts while making the largest payments against the highest interest debts. “In this respect, Hoyt should look at reducing his line-of-credit payments — at seven per cent — from $300 a month to $100 and increase payments on his credit card payment — at 20 per cent — to $400 a month from $200,” Denysuik said. Yet with a few more tweaks, they could be out of debt even faster. “If they reduced their discretionary spending by $400 a month, increasing emergency savings from $160 to $200 and pushing $300 more to debt repayment, they can be out of debt in 30 months,” he said. Another benefit of this strategy is their cash flow would increase to more than $500 a month from $466 a month simply because their money is being managed more efficiently. This extra cash could be used to save for a home, tuition or pay debt faster. And it need not be a grim task either, he said. Smart Biz has issued its June 2015 edition, and in it, Brian Denysuik discusses the benefits of starting to save for your future vacation plans today. Read the full article on page 16 of the June Smart Biz. Vacations are a highly anticipated part of everyone’s life, so working to minimize setbacks and disappointments now can help to ensure that you have the carefree and relaxing vacation that you so deserve. Planning ahead will allow you to take full advantage of a year’s worth of opportunities to save and – if required – earn more money to fund all of the activities you wish to do while on vacation. If you need more tips about budgeting and saving for life events, or managing your debt to pave the way towards a future vacation, contact the caring people at Creditaid for your free, no obligation assessment. The Smart Biz March 2015 edition is out, and in it, Brian Denysuik talks about the importance of teaching our children the basics of money. 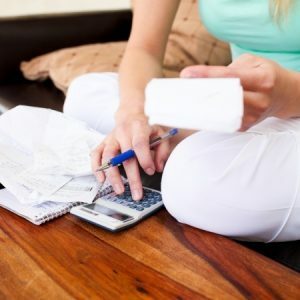 How often is actual money, as in cash, used in your daily life? This is what children see every day; the concept of money has been reduced to plastic cards that seemingly act as a “get out of the store free” pass in the eyes of a child who may have never seen anything beyond Monopoly money. To read more about how to open the discussion with your children and starting their financial education sooner rather than later, check out the full article on page 13 of the March Smart Biz. If you need to expand upon your own financial knowledge, or just need somebody to talk to about your finances and debt load, contact the caring folks at Creditaid for your free, no obligation assessment. Creditaid is very proud to have formed a relationship with Smart Biz Winnipeg for 2015. Smart Biz is a monthly publication that aims to connect people with information about different educational paths and career streams. Smart Biz works with the Winnipeg Chamber of Commerce, the Assiniboia Chamber of Commerce, and the Downtown Winnipeg Biz, in order to present perspectives from within the workforce. Every issue also features lifestyle columns on health, money, gaming, personal life and fashion. Brian Denysuik will be publishing articles to appear in Smart Biz throughout the coming year, offering advice on everything from the new rules of cohabitation to the basics of creating a budget. You can access the January edition here or by clicking on the image in this post. Brian’s first article in the series appears on page 15. Be sure to visit the Smart Biz website and click the “Follow” button in the bottom right corner to keep up with all of the updates! Can you relate to this divorce debt story? John’s motto was always “work hard and play hard”. John had worked hard his entire career which often was his justification for the money he spent drinking, dining out, clothes and on his home. He was living the high life and he felt it was all justified. If he had taken the time to figure out how much he was spending in relation to his income, he would’ve realized he was spending more than he was making. His bank account was often overdrawn and he was using one credit card to pay off the other. His heavy drinking was only contributing more to his debt problems. Finally, it became so excessive that it drove his wife away. The divorce was the final straw. The drawn out divorce process and court proceedings resulted in his assets being frozen. He could not borrow money or sell any of his assets to make his payments. He was in a standstill. Some debt problems are years in the making. When the pieces finally fall, things can quickly spiral out of control. If your debt story is like John’s, stop the speed debting and seek professional help from the counsellors at Creditaid. Are you ‘Speed Debting’ with your Business? It was always Jessica’s* dream to run her own business. She had spent her childhood in a small town and loved the sense of community she felt living there so when it was time, it was an easy decision for her to pick the location for her business. She ran a small convenience store and business was great. Her prime location and loyal customers made the business a success. Her dream had come true. An advantage of running a business in a small town is that competition is limited. For a long time, the big retailers never even considered entering Jessica’s town. But the town grew and then one day, the big retailers came. The business started to change. Business dropped and even the loyal customers couldn’t resist the low prices and convenience the big retailer offered. Jessica’s over-extended line of credit became the working capital and pretty soon, her multiple credit cards were maxed out. Her own income disappeared at a time when she needed it the most. Every month became a juggling act of making rent and minimum payments. She was afraid to answer the phone, open her mail or even see her family and friends for fear they would ask how business was going. Financially, Jessica knew she was in trouble but the hardest part was accepting that she had to let go of her dream. The mounting debt and the stress of trying to figure it all out by herself finally made her ask for help. When debt starts mounting, the situation can quickly spin out of control. To avoid a speed debting problem like Jessica’s, talk to the counsellors at Creditaid.